I haven’t been keeping track so I didn’t realize that “For The Girl Who Has Everything” was the thirteenth episode (and would have been the original season finale if CBS hadn’t ordered more). Since I don’t read comics I also didn’t realize that it was a nod to a Superman story. Spoilers ahead. Supergirl is attacked by the Black Mercy and ends up in an imaginary world where Krypton didn’t explode and she is living a happy life with her birth family, including a certain dark haired younger male cousin. Since I didn’t know the comic connection I was thinking of Picard in Generations. 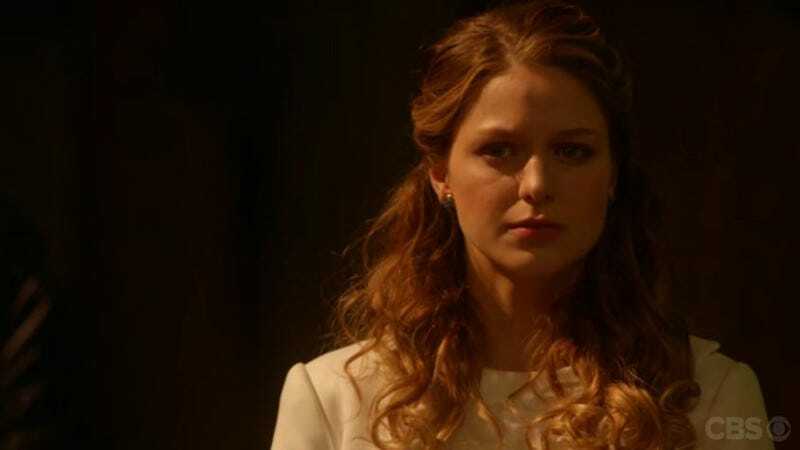 Earth-sister Alex crashes the party and convinces Kara to return to the real world. It turns out Non sent the Black Mercy to get Supergirl out of the way as the rogue Kryptonians implement Myriad to deal with the human problem. while Supergirl faces Non, Alex and Hank square off with Astra. That confrontation ends fatally. Hank tells Kara he did the deed to spare Alex but I expect the truth will come out at some point. Astra was also the most interesting of the Kryptonians and now we’re stuck with boring Non to deal with now that Myriad has been set in motion. Thanks to Hank trying to cover for Kara at work we’ll also soon see the wrath of Cat Grant (too bad that won’t be an episode title).